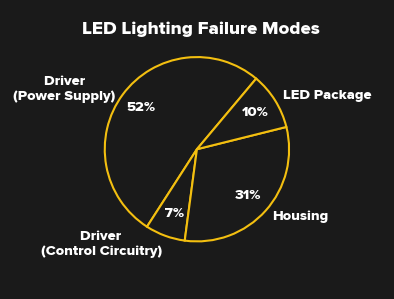 Research says that most users won’t notice a gradual 30% drop in light levels; accordingly the industry has defined L70, the time at which the output has dropped to 70% of its initial level, as an endpoint for measuring LED bulb lifetime. Based on how it’s estimated, this measure is typically stated as B50-L70, the point at which 50% of an initial sample of bulbs will retain 70% of their rated output. This entry was posted in Murmuring and tagged bulb, led, life, lifetime, light, time on February 10, 2019 by Gea-Suan Lin. Please note that according to the PHP version support timelines, PHP 5.6.40 is the last scheduled release of PHP 5.6 branch. There may be additional release if we discover important security issues that warrant it, otherwise this release will be the final one in the PHP 5.6 branch. This entry was posted in Computer, Murmuring, Programming, Security, Software and tagged language, life, lifecycle, php, programming, security, update on January 19, 2019 by Gea-Suan Lin. This entry was posted in Computer, Murmuring, Programming, Security, Software and tagged 2.7, end, eol, guido, life, of, pep, python, release, rossum, security, support, update, van on March 15, 2018 by Gea-Suan Lin. This entry was posted in Computer, Murmuring, Programming, Security, Software and tagged end, life, of, php, security, support, update on December 1, 2017 by Gea-Suan Lin. This entry was posted in Browser, Computer, GoogleChrome, IE, Murmuring, Network, Security, Software, WWW and tagged adobe, content, end, eol, flash, format, google, life, microsoft, of, open, standard, web on July 26, 2017 by Gea-Suan Lin. This entry was posted in Computer, Linux, Murmuring, OS, Security, Software and tagged end, esm, extended, life, maintenance, of, pangolin, precise, security, support, ubuntu on May 5, 2017 by Gea-Suan Lin. 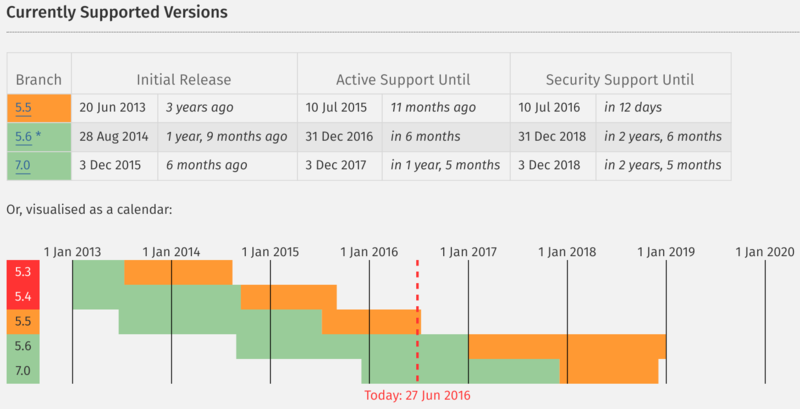 As it is the final PHP 5 release, support for PHP 5.6 has been extended: active support will run for an additional four months, and the security fix period has been doubled from one to two years. Other releases are unaffected. This entry was posted in Computer, Murmuring, Programming, Software and tagged end, eol, life, of, official, php, security, software, support on June 27, 2016 by Gea-Suan Lin. This entry was posted in Murmuring, Social and tagged car, general, gm, human, life, lyft, motors, people, person, taxi on May 11, 2016 by Gea-Suan Lin. A California lawmaker has introduced a bill to unshackle the Golden State from the horological chains of Daylight Saving Time. Daylight saving time is observed in about 70 countries worldwide, but its benefits are the subject of much debate. While studies in the 1970s argued that it reduced energy usage, it’s no longer clear that’s the case. A 2011 study in Indiana found that electricity use rose in the state as a result of daylight saving. This entry was posted in Financial, Murmuring, Political, Science, Social and tagged california, daylight, life, saving, time on March 12, 2016 by Gea-Suan Lin. That's an astounding total for consumer-grade drives, and the Corsair Neutron GTX, Samsung 840 Pro, and compressible Kingston HyperX 3K are still going! This entry was posted in Computer, Hardware, Murmuring and tagged life, ssd on June 20, 2014 by Gea-Suan Lin.